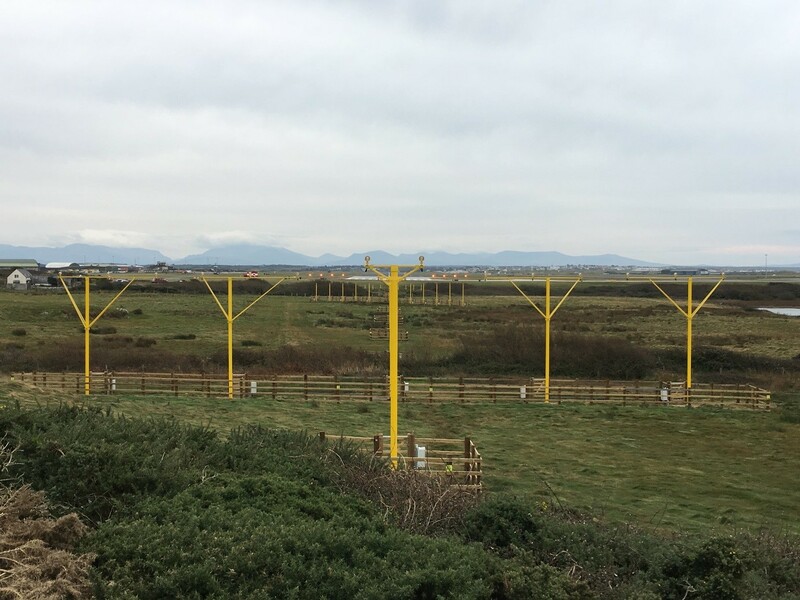 Places don’t come more remote, windswept and rain battered than RAF Valley in North West Wales, where Pollite’s latest installation has just been completed. Working alongside the long established, and highly experienced contractor Edward Dewhurst Ltd, Pollite were given the challenge of re-using the existing approach mast bases, but off-setting the masts and lights to meet the new design. Taking the project from concept to delivery was done alongside a complete runway refurbishment for the air base, which is home not only to the RAF No.4 Flying Training School and their fleet of Hawk TMk2 and IV(R) Squadron, but also the headquarters of the RAF Mountain Rescue Service, where Prince William, Duke Of Cambridge was stationed as a full time Helicopter Pilot. To view all the latest Pollite news click here.